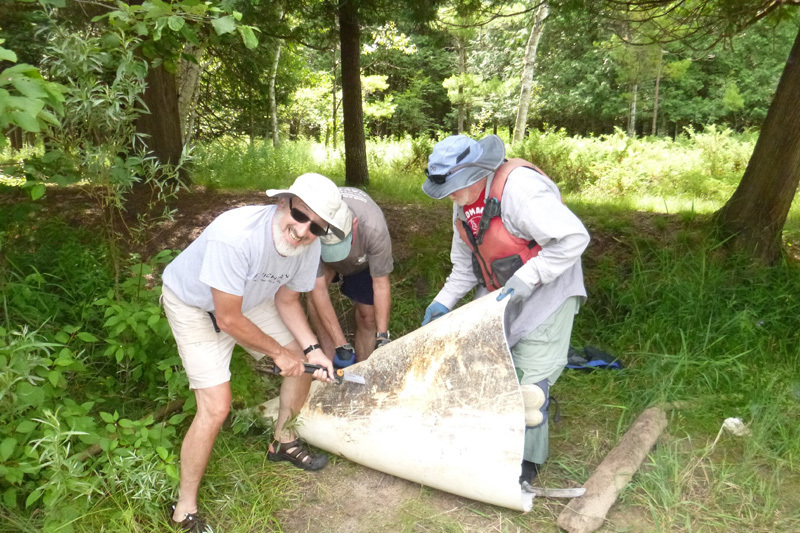 Another successful Pine River cleanup! Twelve people participated: Lois Goldstein, John Gerty, Harold Lassers, John Mesch, Dorelle Ackermann (from Mokena IL), Gerald Wilgus, John Heiam, Norm Fred, Linda Pelkey, Leigh Baker (from Texas), Paul Ton, and Tracie Lord. I knew that if I needed any help, all I had to do was yell “John” as there were 3 John’s on the trip, and one was sure to be close by. There was booty to be had for all; ten bags by the end. 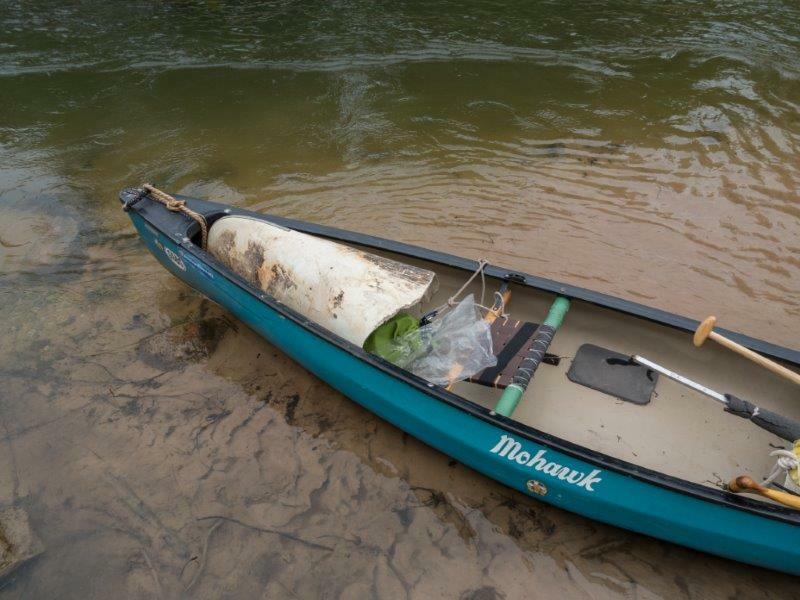 By far the best catch of the day was the remains of a wrecked fiberglass canoe; it took three boats to get it to the takeout. 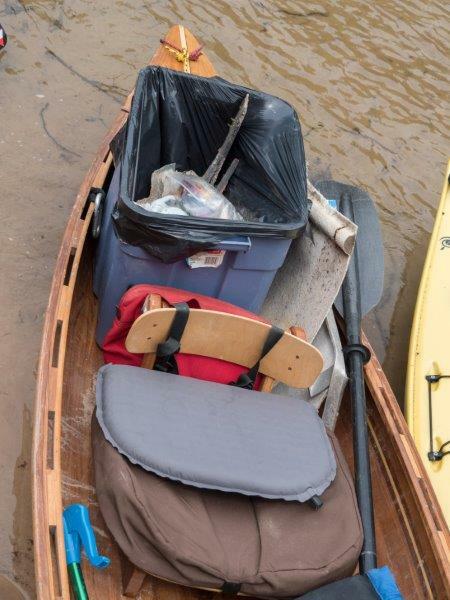 There were the usual beer cans, empty and full, a gimme cap, Gatorade bottles, and various single sandals. 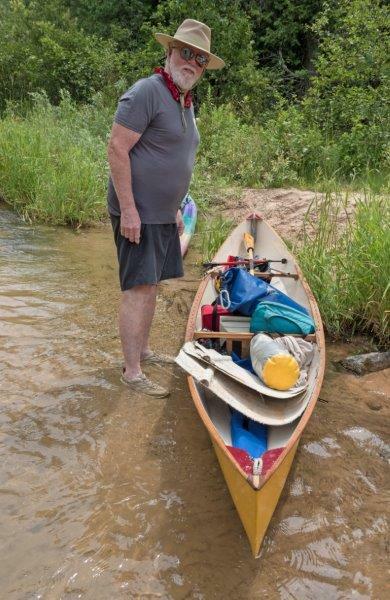 John H & Lois found a paddle belonging to Pine River Paddlesports Center (who had graciously loaned us a canoe and two kayaks, plus gave us a free shuttle). John G found a nice pair of little girl’s sandals and presented them to a young girl at the takeout; who was all smiles. The weather was great and lasted right up to the takeout before dark clouds began to threaten rain. Talk about perfect timing! Lois got an old beer can and a brand new flask by getting in down and dirty. Gerry took the flask home; he said the booze in it was good stuff! He sees another mother lode! 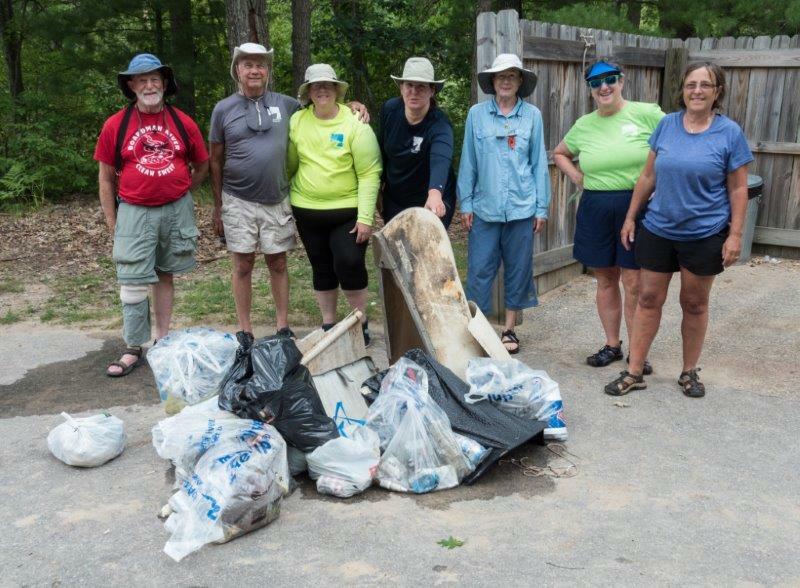 Some people were a bit too pooped to pose for the end-of-trip trash photo. A job well done! 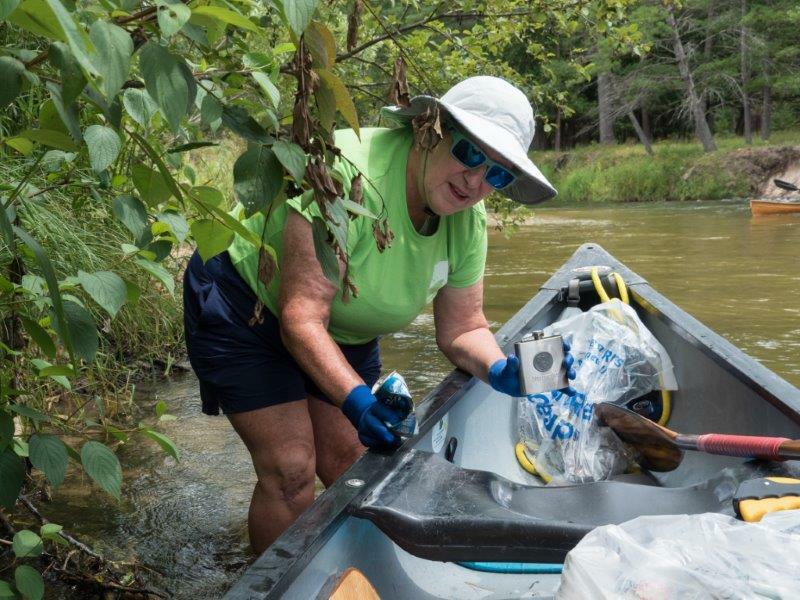 I have been organizing cleanup trips on the Pine River for over ten years, and the amount of trash has definitely decreased as time passes. If they would ban beer cans, the amount of stuff would be far less. One thing that was really nice was that many of the other river users offered their thanks and encouragement to us as we went about our mission. 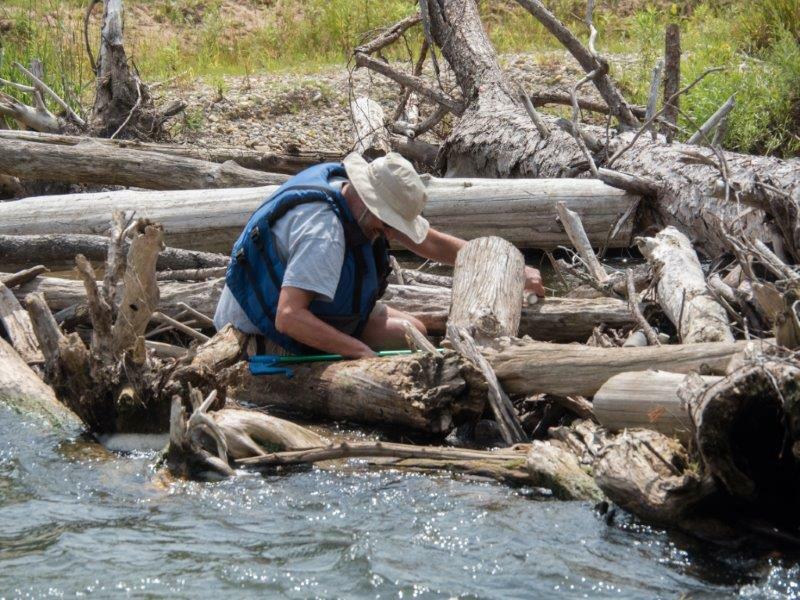 The group today was very experienced and everyone worked so hard to pick up whatever was remotely visible. Special mention is to be made for Dorelle, who had noticed us on the river earlier in July, and she drove up from Illinois just to join us on this trip. She was awesome! Everyone was so cooperative and helpful to teammates, whether it was pointing out hidden debris or remaining with the last people to make sure nobody was left alone. Thank you ALL! 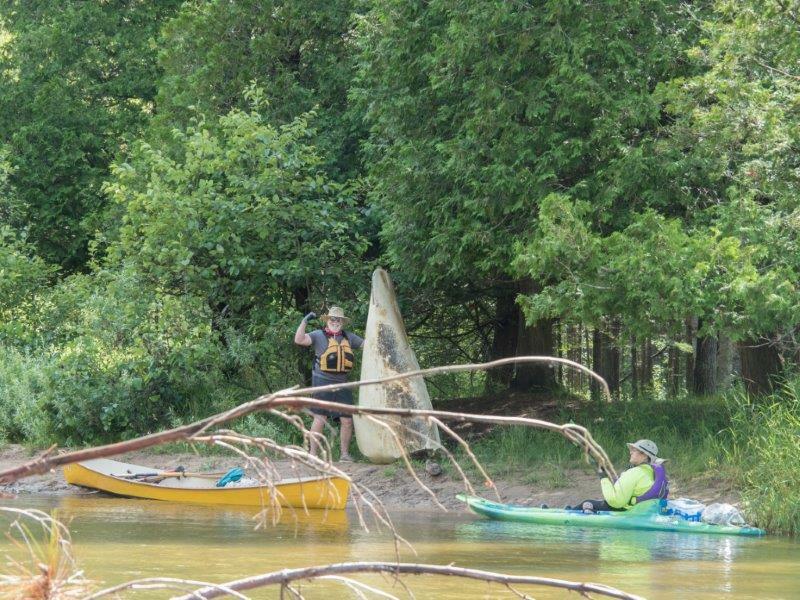 Also, we want to convey our gratitude to the rangers at the Huron-Manistee National Forest, who provide us with both watercraft and vehicle permits, plus extra trash collection after each of our forays. 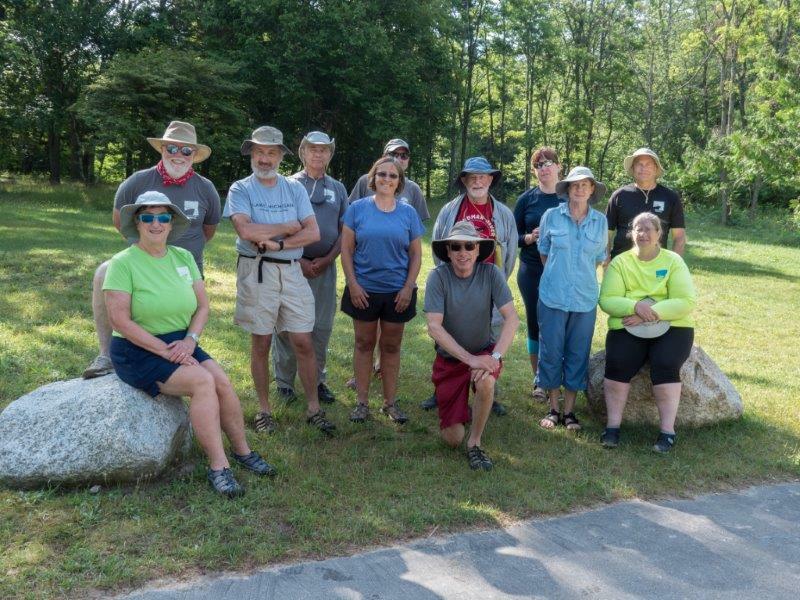 And giant blessings to Mark and Val and their super crew at PRPC, who are always available to give us free shuttle services, and boats if we need them. 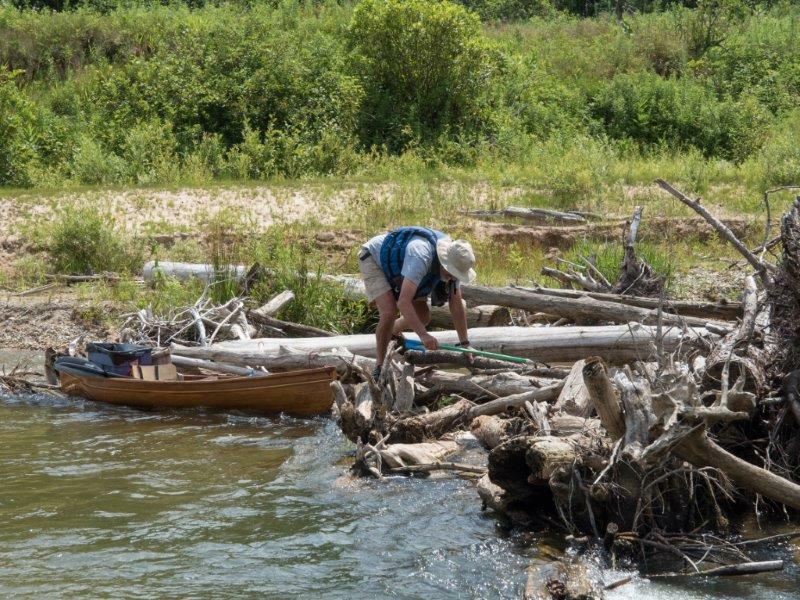 This is a true team effort, and the Pine River always wins! We feel fortunate to live nearby (even Leigh and Dorelle) and hope that one day, there won't be any more trash. We can dream..... What's interesting is that the other river users never see the stuff we see, so they have noticed the results of our projects. We feel blessed!